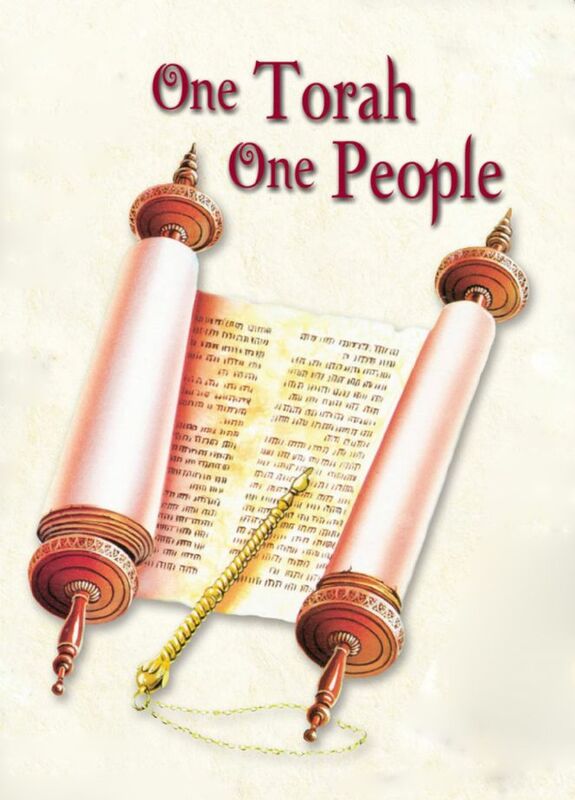 The Torah is the most sacred religious article in Jewish life. In times of need, prayers are offered in its presence. It is perfectly intact just as we received some 3,300 years ago. According to tradition, G‑d first presented an image of a Torah scroll "written in black fire upon white fire" to Moshe Rabbeinu (Moses our Teacher). Moshe transcribed that fiery Torah onto a real parchment scroll, which was stored into the Holy Ark. Twelve additional Torah scrolls were then written, and bestowed to each of the Twelve Tribes of Israel. From these original scrolls, additional Torah scrolls were transcribed in precise detail. Even the letters were identical in appearance. Indeed, each and every feature was prescribed by G‑d Himself. Thus, the chain of Torah remains unbroken from the time it was given to us at Sinai. Despite the Jewish people enduring centuries of upheaval and suffering, not one of the Torah's 304,805 letters has ever been lost or changed. The words we read in synagogue today are exactly those recorded by Moshe. The Sages taught that each and every Jew has a letter in the Torah which corresponds to his or her soul's spiritual configuration. Just as each letter is an essential part of the Torah, so too each and every Jewish is of utmost importance, constituting an essential and integral part of Klal Yisroel, the Jewish collective. The very last mitzvah in the Torah is to write a Torah scroll. By endowing a letter, word, or sentence for yourself, your children, family members or friends, you are considered by Jewish law to have written a Torah scroll yourself. A new Torah scroll is a sign of a new community—a healthy community, a robust community, a flourishing community that is brimming with a vigorous Jewish pride. And here at Chabad Lubavitch of the Poconos, we are writing a new chapter of Jewish history: We are in the process of writing our area's very own first new Torah scroll. Please join us as we unite to forge a connection to our glorious past and blaze a fearless trail to our shining future. As the scribe, sincere and skilled in his specialty, pens the letters of our new Torah's final verse, we will realize how fortunate we are: Our new scroll will be the latest link in a holy and eternal chain. I would like to participate in Chabad Lubavitch of the Poconos’ Sefer Torah. One complete book of the Five Books in the Torah. Your family name on the outside of the holy ark. Your family name will be inscribed on them. Endow a Torah portion for yourself, your family and/or a friend by choosing a Bar/Bat Mitzvah, wedding or Yarzeit anniversary Torah Portion. Endow a Torah verse that has special meaning to you, your family or a friend. Endow a word in the Torah that has special meaning to you, your family or a friend. Endow letters of a Jewish name for yourself, your family or a friend.